Drop that lemon or lime or other citrus fruit! When you treat it like cheese to be grated, you’re abusing it, making it bitter and not as prime of an ingredient for your holiday recipes. When it calls for a little grated lemon peel or a bit of orange zest, that’s not the time to go crazy with grater. Subtlety, friends. Subtlety. See, there is such a thing as over-zesting or over-grating, explains Slate’s food and drinks editor. And if you do it wrong, you’ll get bitterness where you want a bit of zip. 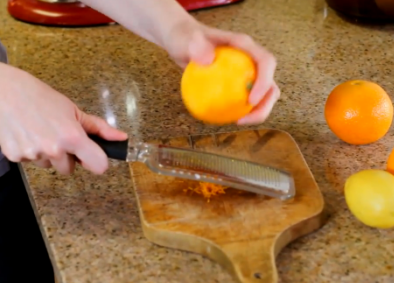 It’s not peeling an orange for a garnish and it isn’t sanding a block of wood, she explains in the how-to video below. If you want a hint of nice citrus flavor, you’ve got to have a delicate touch.